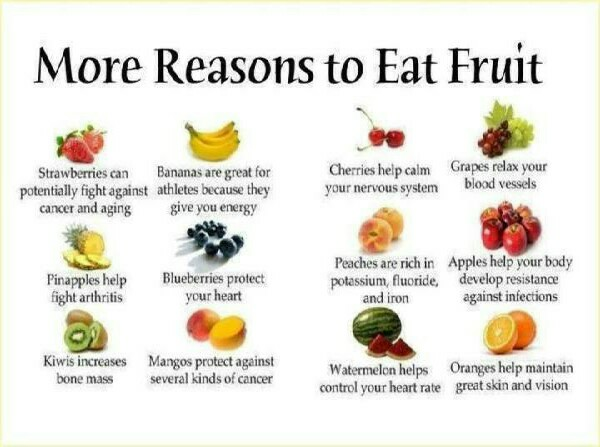 More reasons to eat yummy fruits!!! For a person who needs 2,000 calories a day to maintain weight and health, this translates into nine servings, or 4½ cups per day (2 cups of fruit and 2½ cups of vegetables). For most fresh or cooked vegetables and fruits, 1 cup is just what you would put in a household measuring cup.